Due to our size, we are able to offer both private and ensemble instruction and performance, which offers a richer and more engaging learning environment. In addition, our curriculum includes master classes with prominent visiting musicians and coaching for state and national competitions. 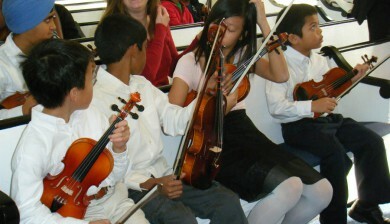 Student recitals, both individual and ensemble, are an important part of our curriculum. We use the Suzuki teaching method https://suzukiassociation.org/, which is premised on how children first learn to speak a language by listening and repeating. We have four teachers so we are confident that we have the right teacher for you. All of our teachers have bachelors, masters or doctorate degrees in music performance from the best music conservatories or universities (see Staff tab). In addition, to having top credentials, they are dedicated to teaching in a fun and positive manner. (See Awards tab). 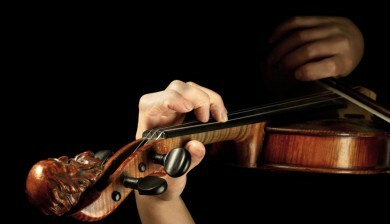 Our students regularly achieve concertmaster and principal violist in YOCJ and GPYO, membership in Regional and All State Orchestras, and top honors in local and national competitions, i.e., NJMTA, Carnegie Hall recitals. They play in master classes with prominent musicians, i.e., Pamela Frank, Donald McInnes. 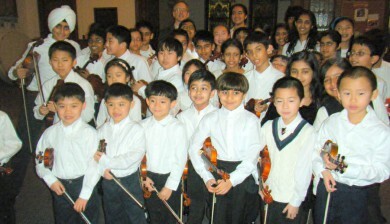 Princeton String Academy has a proven track record of private and ensemble music lessons and performance year round. 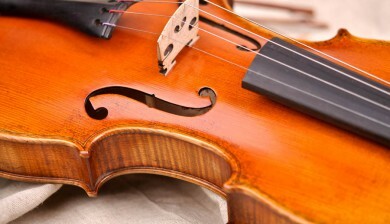 Our full-time mission is teaching string music. Princeton, Hopewell, West Windsor, Plainsboro, Montgomery, Belle Mead, Robbinsville and Lawrenceville. Beginning string students as young as four years old may learn to play a string instrument using the Suzuki method of music instruction. All instructors are specially trained in the Suzuki Method of Talent Education and students will receive a combination of private and group instruction. New middle school and high school students take FREE trial lesson. "I had a wonderful time offering a master class to the Princeton String Academy. One hopes to find not only students who are prepared, but participants who are engaged and ready to learn. The eager faces of students and parents alike was my first clue that this community of learning is a vibrant and nurturing environment for success. Kudos to the Princeton String Academy!" Thanks for the opportunity to do the master class. I enjoyed seeing you and meeting your talented students.... You are to be complimented for fostering a warm, supportive community, where your students are well taught in every respect.